Description: A train derailment in Nebraska resulted in, among other things, two damaged fuel tender cars, loaded with diesel fuel. The cars were not leaking, but were no longer safe to haul fuel. In order to save the fuel and scrap the damaged cars, TIS was contracted to transfer the diesel fuel from the damaged cars to empties, then clean and purge the damaged cars, making them safe to cut up and scrap. 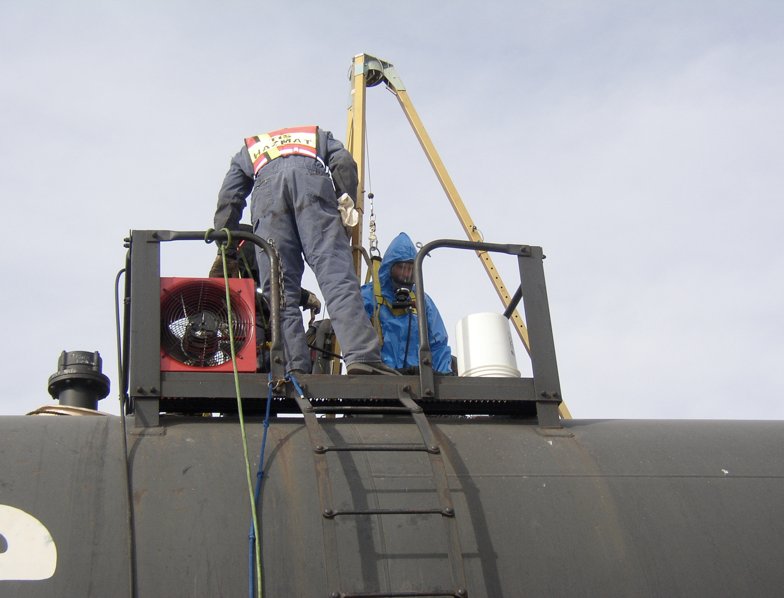 TIS mobilized a four-man environmental remediation and tank services crew to the Bartley, Nebraska siding, where the train company had the damaged cars and empties staged end to end. Using compressed air driven 2” diaphragm pumps and chemical hoses, the fuel was transferred from the two damaged cars to the two empties simultaneously. To clean the damaged cars, a tripod and extraction device were rigged up over the manhole on the first car and a confined space technician was lowered into the car, where he used a 3,500-psi pressure washer, heated to 175o F, to wash with soapy water and rinse with clean water. 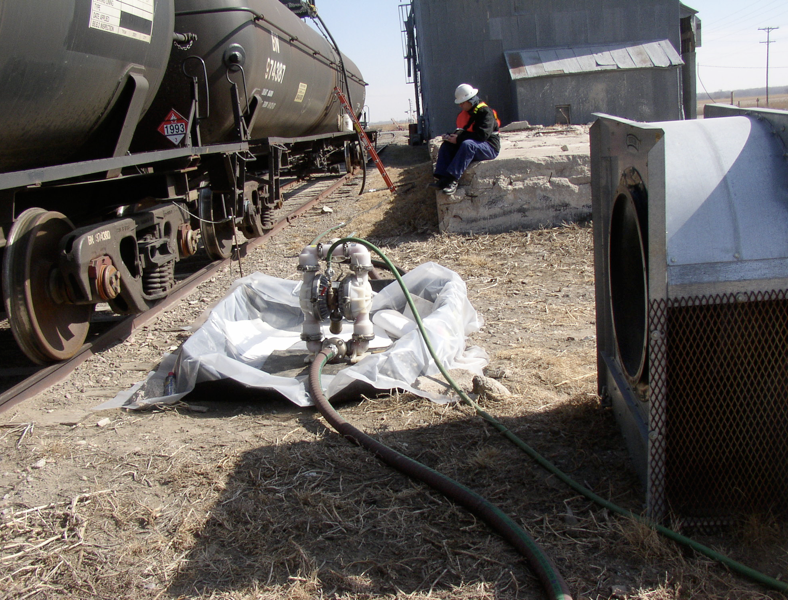 A 5,000 cfm intrinsically safe ventilation fan was used to remove the steam vapors. The rinseate was collected by a vacuum truck through the bottom outlet valves and hauled off for bio-treatment. The interior atmosphere was monitored and verified safe. The fuel was ready for transportation and the damaged cars were ready for demolition. Another confined space job safely completed by TIS.